Three of the most prestigious awards for alumni participation and dedication to KCUMB were recently announced. The Butterworth Award, named in memory of Mary Lou Butterworth, D.O. (COM '54), former dean of alumni affairs emeritus, is presented to the class with the highest attendance during Homecoming weekend. 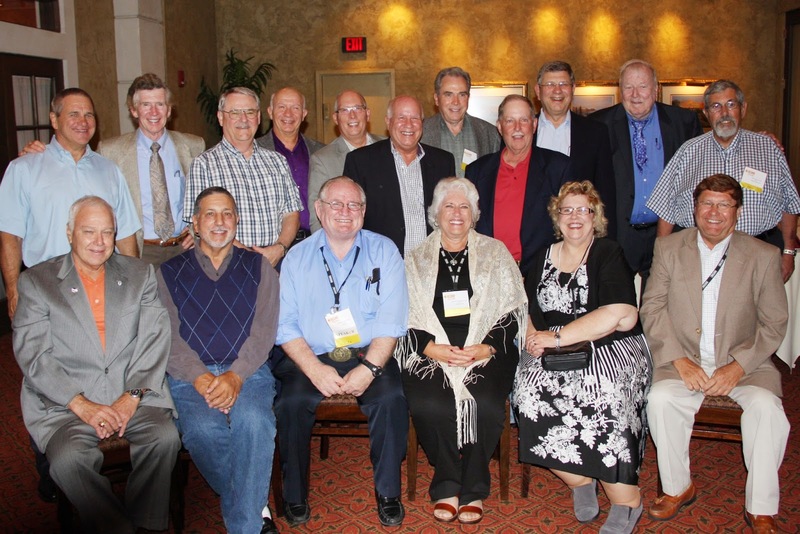 With 16 of their fellow classmates in attendance for their 40-year class reunion, the Class of 1974 earned the 2014 Butterworth Award during Homecoming. The Strickland Reunion Challenge Award, named in honor of Darwin J. Strickland, D.O. (COM '65), a member of KCUMB's Board of Trustees, for his outstanding commitment to building alumni participation, is presented to the reunion class with the highest total donations between June 1, 2013, and Sept. 18, 2014. This year’s winning class is the Class of 1979, which raised nearly $35,000 for KCUMB and its students. The Conley Award, named for Dr. George Conley, the first president of the Kansas City College of Osteopathy and Surgery (now KCUMB), is presented to the class with the highest donor participation percentage during the fiscal year. This year’s recipient of the Conley Award is the Class of 1965, which garnered more than 51 percent participation and has won the award each year since its inception in 1998.